The Mount Vernon club would be the first of its kind in the state, says the Satanic Temple of Seattle, and would be in response to the Good News Bible Club. MOUNT VERNON — The Satanic Temple of Seattle has asked the Mount Vernon School District for permission to start an after-school program at Centennial Elementary School. 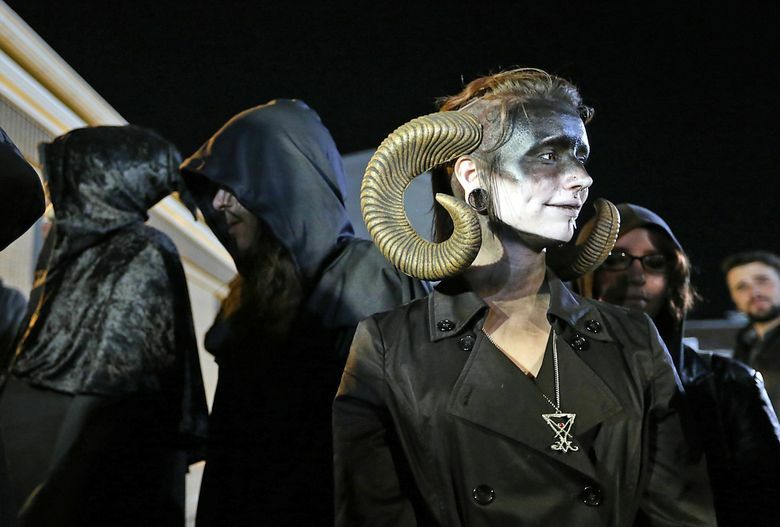 The After School Satan Club would be the first of its kind in the state, said Tarkus Claypool, campaign manager for the Satanic Temple of Seattle. The club, he said, would be in direct response to the Good News Bible Club, which is run at Centennial by the Child Evangelism Fellowship. “It’s designed to be a counterpoint to the Good News program,” Claypool said. The Satanic Temple of Seattle would like to have the program running this school year but needs approval from the school district. “What I want to make clear is we’re not to the point of granting access,” Mount Vernon Superintendent Carl Bruner said. A 1991 Supreme Court ruling, Good News Club vs. Milford Central School District, stated that if schools allow any organization to use school property, they must allow all organizations — religious and secular — access, Bruner said. Since then many districts, including Mount Vernon, have played host to Good News clubs, he said. Although Centennial is the only school hosting the club, other schools in Mount Vernon had done so previously. “We cannot say ‘no’ to the Good News Bible Club,” Bruner said. Claypool said a Centennial parent recently brought the Good News Bible Club’s use of school property to the attention of the Satanic Temple, which has operating in Seattle for about a year and a half, Claypool said. The parent was concerned about publicly funded spaces being used by the Good News Bible Club, he said. The temple has aspirations to open an After School Satan Club at every school that has a Good News Bible Club, Claypool said. He said the goal aligns with a movement on behalf of Satanic Temples nationwide. “We’re leveraging equal access,” he said. If the program is successful in Mount Vernon, the temple hopes to open another After School Satan Club at Point Defiance Elementary School in Tacoma, Claypool said. The temple has created a curriculum for the program, which Claypool said would be run by two adults who have been trained to teach it. Claypool said temple members are working on their application with the district. Bruner said the district has heard concerns from parents about the potential club and is taking those concerns seriously. The district will work with its attorney and its School Board to explore how to respond to the application.